Those interested in the natural remedy to better health will surely be familiar with the term “essential oils” and the many reputed benefits of these fascinating natural potions. Essential oils have a potent property that can be applied to many of humanity’s most pressing health concerns. From the relief of arthritis to poultices for an ingrown toenail there seems to be no end of remedies being produced by nature’s sophisticated chemical plants. But this all-natural source of better health and living is not without its own set of risks and caveats. If you are considering using essential oils for their prolific beneficial features, it will be important to fully understand the risk and safety precautions involved. The following guide will provide an overview of the potential hazards involved with essential oils use and contain important pointers and guidelines to enhance your experience with these potent natural substances. OF course, if you are seriously interested in essential oils and their benefits, you would do well to find a comprehensive reference book that covers all the bases. Understanding the Need for Essential Oil Safety. It has become a fairly common misconception that the natural remedies are also the easy way, gentle way or completely safe way to their physical goals. This causes some to think that as long as they are purchasing quality essential oils, they can feel free to apply, ingest and inhale these potent substances as they see fit and this has led to some detrimental errors. Great quantities of natural plant sources are collected to create a small amount of essential oils. Each small vial represents a concentrated product from the plants own chemical facilities. These contains very powerful constituents like ketones, aldehydes, phenols and terpenes which can have a potent effect on the natural environment. The monoterpene Pulegone is a prime example of the need for safety in using essential oils. Pulegone is found in peppermint, pennyroyal and rosemary essential oils and is characterized by its minty aromas. This monoterpene is used extensively in the perfume industry and essential oils containing Pulegone can be used freely in aromatherapy. The Following section of this guide will illustrate some of the most important aspects of essential oils safety. By the end of this simplistic article you will have a clear idea of how to begin your own safe and confident forays into the wonderful world of essential oils treatments. A single vial of essential oils has the power to address a large variety of conditions and this is where skill and experience can help make the most of your essential oils. Take the time to research the conditions you would like to address and research the various essential oils suitable for that condition. An essential oil can last many years with proper, sparing and conscientious application. This is an important part of good consumerism when you consider the vast quantities of source materials that go into the making of essential oils – 60 Roses for a single drop of rose otto oil. It is quite possible for a collection of 4 to 6 essential oils to cover the needs of a family, including grandma and grandpa. Imagine how awful you would feel to purchase a large set of essential oils and discover you’re your skin presents a bad reaction to most of them. If you have sensitive skin, medical conditions or are taking prescriptions medications it is essential to discuss your plans for essential oils therapy with your medical provider. In addition to important warnings, your qualified medical professional can provide some insights that will enhance your results. Even those without sensitive skins should begin tentatively. If you will be using a prepared essential oils ointment, apply a small amount on the inside or back of your upper arm. If you don’t notice any bad reactions within 48 hours, it is safe to say that you are clear to pursue your treatment. Because essential oils are natural and can contain concentrated doses of special plant chemicals they can react with the body in dramatic and unexpected ways. There are some oils that are simply too strong to be placed directly on the skin. Tea tree essential oils, for example, are powerful enough to be used as a domestic cleanser and disinfectant. A drop placed on the skin could easily cause a mild chemical burn. This is where a carrier oils can facilitate topical treatments. Carrier oils are very gentle oils from natural sources, some examples are coconut, argan, sweet almond, olive, jojoba or cubeb oils. When applying essential oils to the directly to the skin, hair, nails and body a carrier oils is often used to soften the strong chemicals and introduce the essential oils gently into the skin. The best carrier oils are selected for their benefits to the treatment in process. Coconut Essential oils also maximize the efficiency of your treatment. Smaller amounts of essential oils go a longer way when prepared in a carrier oil especially when preparing ointments for muscle pains, massage therapy and hair treatment. Take the time to study up on some aromatic and therapeutic combinations of essential oils and carrier oils that have been popular for the last half dozen millennia. Collecting oils and preparing your own natural remedies is one of the intrinsic joys of essential oils culture. Remember to be careful and sparing in your use, excessive application of essential oils increases the risks involved with their use. Typically, a few drops are more than sufficient for a single application. Essential oils are so effective due to their capacity to pass through the body’s defensive barriers that can impede passage for other treatments and substances. As with many other potent substances, pregnant and nursing mother’s must be extra cautious as it is possible to pass these substances directly to their children. Small children do not have defenses that grown adults possess and their underdeveloped bodies can be affected more severely. Some of the essential oils that should not be used by pregnant or nursing mothers include Wintergreen (Gaultheria procumbens), Clary Sage (Salvia sclarea) and Parsley leaf (Petroselinum crispum). You can see a full list of essential oils that are not safe for mothers at https://www.mommypotamus.com/essential-oils-avoid-pregnancy-breastfeeding/. As a rule of thumb, you will want to be twice as careful with children as you would with an adult considering their underdeveloped organs may not handle the potent substances as well as an adult can. To this end, double up on the protection. If a treatment recommended 2 drops of cedar oils to a tablespoon of carrier oil, make the combination 1 drop of essential oils to a tablespoon of carrier. Again, it is essential to approach your exploration of the essential oils world with a clear understanding of what you are doing and what the effects will be. There are some essential oils, especially those taken from citrus fruits, that can react with UV radiation to chemically cook the skin. This can be quite painful and leave a noticeable marking that can lasts for weeks. This is a reason you will want to research the photosensitivity of the essential oils you will be wearing when you go out of doors. Some essential oils can cause bad reactions with sunlight for up to 48 hours after application. Essential oils offer a natural solution to a wide variety of human conditions due to their potent natural substances. But, these substances must be used under expert direction to avoid the various risks and ensure only the best results and a essential oils guidebook can do you a world of good. The concepts of dosages and treatment schedules used in modern medications were founded on these ancient herbal medications and you can shorten a hazardous learning curve by standing on the shoulders of genius. 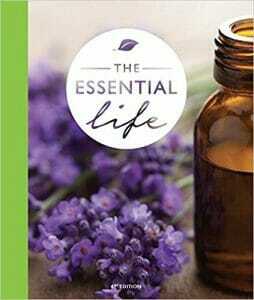 For a comprehensive understanding of essential oils their use and how they can address your health concerns, The Essential Life by Total Wellness Publishing is available at Amazon.com.